A new adapter kit for rapidly and cleanly removing injection molded polypropylene (IMPP) insulation from pipe in preparation for welding is being introduced by Esco Tool of Holliston, MA. 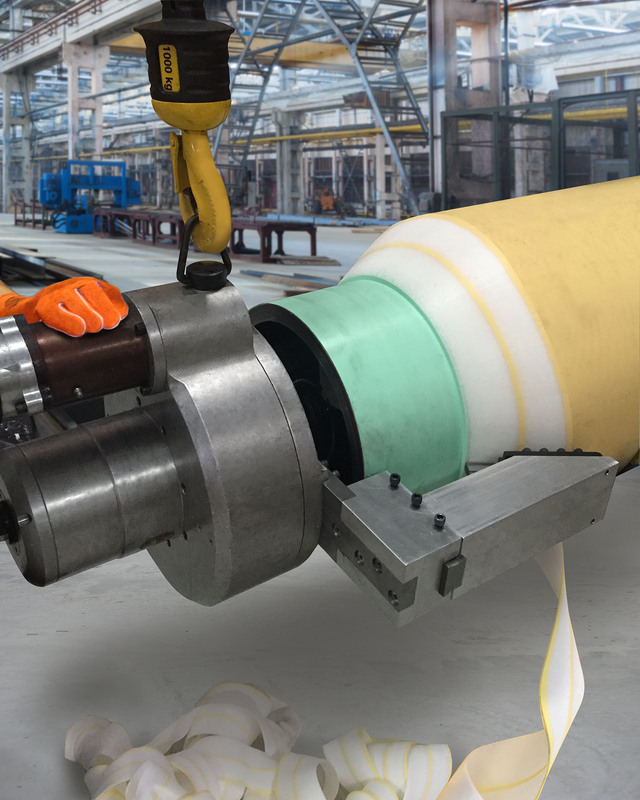 The Esco IMPP Removal Kit fits on the MILLHOG® Dictator pipe beveling machine to rapidly and cleanly remove injection molded polypropylene (IMPP) insulation from pipe in preparation for welding. Featuring a series of blades that peel the IMPP back up to 12” from the face of the pipe, the angle of bevel for the insulation is 60 degrees which improves adhesion during reapplication of the polypropylene coating. Developed for pipe from 4.5” I.D. to 18” O.D., the Esco IMPP Removal Kit for the MILLHOG® Dictator pipe beveling machine is available with new tools or can be retrofit. The MILLHOG® Dictator is also suited for dry-cutting stainless steel and super duplex piping systems. Available with pneumatic, hydraulic or electric power, it produces 4,100 ft.-lbs. of torque at the blade and performs end preps from 30 to 37.5 degrees. The Esco IMPP Removal Kit and the MILLHOG® Dictator pipe beveller sell for $23,995.00 and the kit is available separately for $2,995.00.